As part of our October Membership Meeting, former NAWIC member, Sherry Eklund presented all about Onenten! 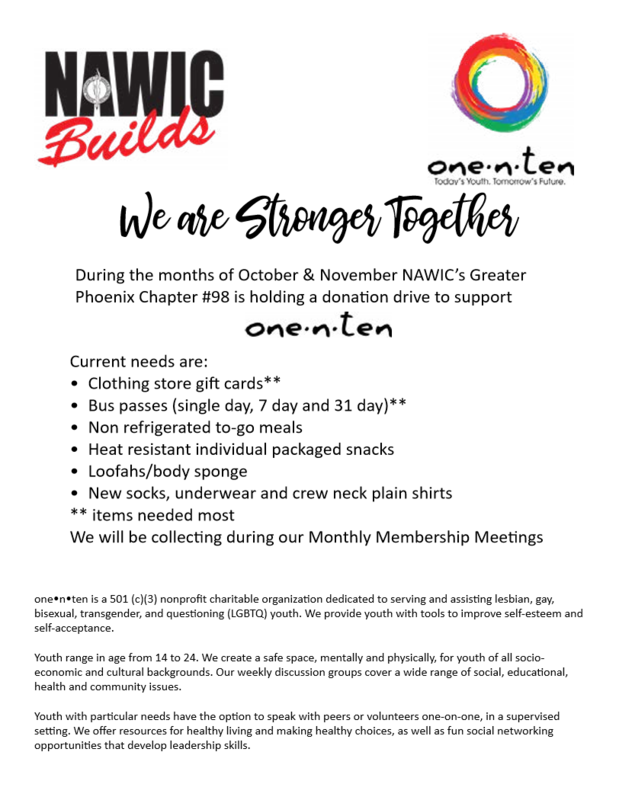 The Greater Phoenix #98 Board of Directors are encouraging you to donate any of the items on the attached flyer to support and assist this organization, especially as the holidays are upon us. If you missed Sherry’s presentation, it was inspiring and we look forward to collecting as much as possible to donate to Sherry and those folks needing that extra hand.